ABC's "Marvel's Agents of S.H.I.E.L.D. ": dramatic improvement since "Captain America 2" came out, but is it too late? ABC's unwieldily named "Marvel's Agents of S.H.I.E.L.D." debuted in the fall with really strong ratings, but it quickly sank to the ranks of mediocrity - and deservedly so. Most of the lead characters were boring, and the show fell into a rote dangerous villain of the week pattern. There was some head bad guy named The Clairvoyant, and some recurring dudes with metallic centipede-like things on their forearms, but it was mostly boring. Not so boring that I stopped watching, but it certainly seemed disappointing compared to the high expectations that it had generated. Then came the episodes that bracketed the debut of "Captain America 2: The Winter Soldier" in the movie theater, and the show quickly picked up. But is it too late? NBC's "The Voice": why can't there be more than one woman judge at a time? The latest news from NBC's "The Voice" is that Christina Aguilera won't be back for the fall season; instead, No Doubt lead singer Gwen Stefani will fill the "female judge" slot. I remember being underwhelmed by Stefani as a guest mentor on "American Idol" way back during season 6 (was that the last season I watched?). She seemed distant and chilly, though who knows how much of that was editing. Still, she's bound to be about a million times better than Aguilera, who was admittedly less horrible the last time she was on. So, all in all, I'd consider this a good trade. Except that Aguilera will apparently be back in spring 2015, bumping Shakira off rotation. Now, I like the spring line-up of judges the best, as I think Usher does a really good job helping his team members with their performances; and Adam Levine and Blake Shelton are just hilarious in making fun of each other. It does raise the question, though, of why NBC seems compelled to have only one female judge on at a time? Surely the TV audience's heads would not explode if exposed to, say, Stefani and Shakira at the same time. . . . 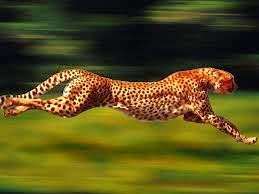 Okay, I'm nowhere near as fast as a cheetah (at least, for short distances - I don't think they run for more than 1/4 mile or so), but interval training is as close as I come to that feeling of pure speed, even more than races, since I run interval repetitions at faster than 5K pace. Today would've been a good day to run at the track since the schedule called for speed work (hence, no TV), but after yesterday's near half marathon (12.2 miles on hilly roads), I figured I could benefit from the softer surface of the treadmill. After a short warm up of a mile at an 8:35 pace, I got to work on 1/4 mile repetitions. The advantage of the treadmill is that you can set the pace precisely and consistently, and I alternated between 1/4 miles at 6:18 pace (the repetition) and 10:00 pace (the recovery) ten times, and than upped the repetition pace to 6:00 for the last two. I don’t know if this is an issue only I have, but my Garmin is not great at giving me the exact instant pace I’m running. The splits are perfect it seems, but if I look at my watch at any given time, especially if I recently changed my speed, the display of instant pace is quite off. I tried to go by feel, and for fear of running slower than I had planned, I ended up not only running faster, but each interval is not even similar to the previous one. Her intervals were on the road, every 500 meters by a Garmin stopwatch. Maybe the track makes for easier interval training, because you can see exactly how much distance you have left to go. On the track, all I use is a digital watch with a timer/split function. It doesn't have GPS and thus can't give my pace, but I can do the math pretty easily in my head about elapsed time at the 1/8 and 3/8 mile marks. Having an idea about pace is one thing; keeping it up on your own internal motivation is another. This is where the track is much harder than the treadmill. If you slow down a little - and when it comes to 1/4 mile, even a small slowdown is going to reflect in the ultimate pace (after all, just 5 seconds slower on a 1/4 mile translates to a full 20 seconds for a mile) - nothing is going to make you speed up except your own willpower. Oh noes, could TV and treadmills be a bad combo?!? Obviously from the title of this blog and its pure focus on TV and running, it's clear that I like watching TV while on the treadmill. In fact, I have been known to stay on the treadmill "for just another episode ... "
If you're able to watch TV without craning your neck, holding on to the sides of the treadmill, or skimping on intervals, then you're probably OK running while watching. But otherwise, you're better off turning off the tube. The reasoning is that watching TV can force you to crane your neck at a bad angle, it can reduce your calorie burn if it makes you grab the handrails, and it can leave you in a rut where you just keep running at the same pace. Actually, this all sounds right. I'm definitely cognizant of the first point. There are a couple of treadmills at the gym I use that have a straight edge along the top of the display that works perfectly for draping my Kindle Fire, with the back of the cover acting as a counterweight to the tablet. 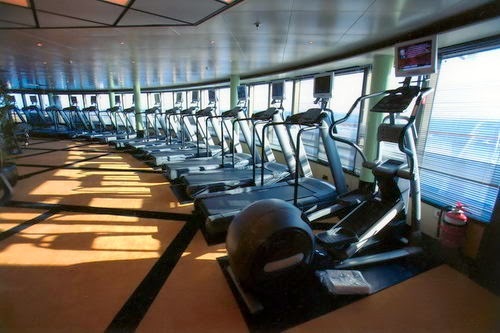 The other treadmills would all require that I rest the Kindle Fire along the bottom tray, which in turn would force me to look down too sharply. I don't hold the handrails, so the second point isn't applicable to me. And as for the third point, I don't watch TV when I'm doing speed sessions on the treadmill. (I try to do speed work on the track, but if it's nasty weather, I'll run indoors.) It's either an audiobook, music, or nothing. 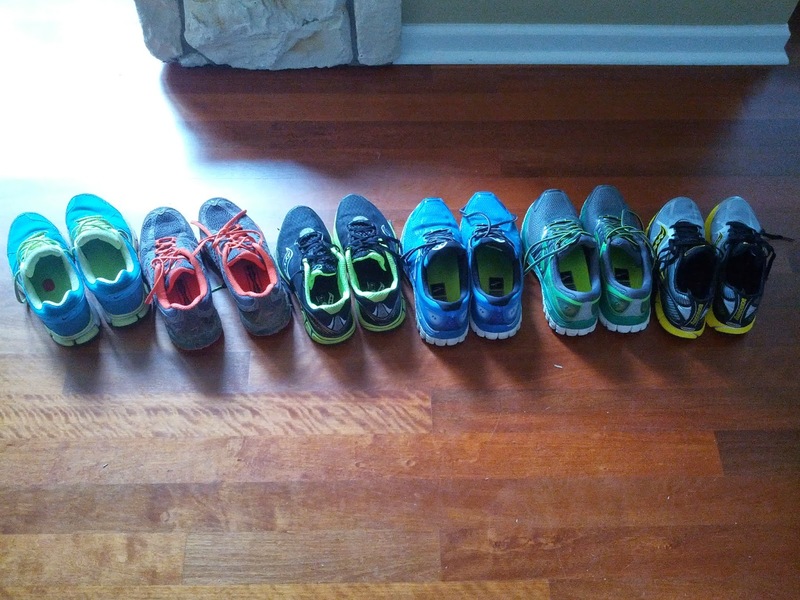 Running shoes aren't cheap, so I'm always thinking about ways of cutting costs, given that I go through about three or more pairs a year. Aside from the usual ideas of stocking up when the shoe models I like are discounted to make room for the next year's model, I've recently come up with a new plan that takes into account the different prices of shoes that I use. I haven't really made New Year's Resolutions in years, but I do like setting goals for the upcoming year. I suppose there might not be much difference, although resolutions generally seem like they're about addressing things you don't like about yourself, whereas goals are about striving to accomplish more. With almost a third of the year gone by, I'm not actually sure how feasible most of these remain. Right at the beginning of the year, I injured both Achilles tendons during a double-race (1 mile run at 8:30 a.m., followed by a 5K at 9 a.m.), and it's taken a while to recover. I averaged closed to 150 miles/month last year, but ended January with just 88. February wasn't much better at 103, and even March failed to measure up to last year. I'm currently at 447 miles cumulative for the year, which projects to just under 1500. Assuming no other injuries, I figure on ramping up the mileage, but finding another 200 miles in the next 7 months isn't exactly trivial. On the top 10% finishes, I'm basically on track if you do some rounding... 3/48, 9/162, 16/154, 3/46, 3/35, and 4/97. That includes two #1 masters and three #2 masters finishes. The time goals are going to be really hard to crack, though. I've got one 5K under 21 minutes (well, it would have been under 21 minutes except the race distance came out to 3.18 miles), so I'm half a minute behind my peak last year, and I'd have to cut another 30+ seconds from that to reach this year's 5K goal. Still, summer's just about here, so we'll see if more quality running sessions will help me improve enough. Yuck!! Worms coming out of a woman's eye?!? I read the trilogy of novels by Guillermo del Toro and Chuck Logan ("The Strain," "The Fall," and "The Night Eternal") a year or so ago, and I'll just say that this is definitely not a "True Blood" kind of vampire story. It's more like hell unleashed on Earth. "The Strain" (the novel, that is) was particularly effective in the beginning, which has a long set-piece set aboard an airplane that doesn't respond to the control tower yet lands safely. The perceptive reader can already get a sense of what's going on, but of course the characters don't, which is a variation of Alfred Hitchcock's theory of generating suspense. It's moody, incredibly tense, and quite disturbing. When season 4 of ABC's "Scandal" starts in the fall, who is going to be left to run Olivia Pope & Associates? When we were first introduced to OPA, Olivia had a team of "gladiators," including surveillance expert Huck, lawyers Harrison Wright, Abby Whelan, and Stephen Finch, and new addition Quinn Perkins. Finch lasted just one season before being written out (with a happy ending, at least), as actor Ian Henry Cusick (aka Desmond on "Lost") left for other pursuits. Perkins ended up being seduced by the "dark side" and joining the mysterious black ops agency B613 (and was tortured and nearly killed by her mentor Huck). And at the end of season 3, Wright was in some serious jeopardy, having run afoul of B613's new/old director, Rowan Pope (that's right, Olivia's dad). His last scene ended with a Secret Service agent (already shown to be a secret B613 operative) stepping in to protect Pope and aiming a gun at Wright. Now comes news that actor Columbus Short won't be returning. It looks like it's fall out from his wife's accusation that he tried to kill her. Um, yeah, I think "Scandal" creator Shonda Rhimes wants the drama on-screen, not off-screen. Amazon Prime is determined to keep me on the treadmill! [Amazon] announced a multi-year deal with HBO to host several former television series, including The Sopranos, The Wire and Deadwood. 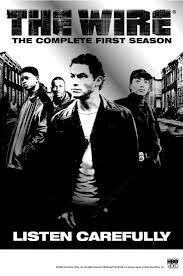 More than one of my criminal procedure students have expressed shock that my prodigious amount of TV watching has somehow not included "The Wire." In fact, one student semi-facetiously asked, "How are you even qualified to teach this course?" Well, I expect that to be remedied soon. I'm also intrigued by "Deadwood," as I am a big fan of Timothy Olyphant (aka Deputy U.S. Marshal Raylan Givens on "Justified"), who stars as Sheriff Seth Bullock. I have a running watch that's waterproof and can track up to 40 different intervals, but it doesn't have GPS. I've periodically thought about getting a Garmin, but inevitably, I ask myself, why? If I run on a treadmill, I know exactly how far and how long I went, and if I run on a track, I don't need GPS. On all other road runs, I carry my smartphone and use RunKeeper. So I guess it's not surprising at all to read about the impending demise of Nike's Fuelband and the troubles ahead for other fitness wearables. I mean, I'm not exactly in the vanguard of tech gadget adoption, but I am one of those semi-obsessed runners who has about as much running clothing as non-running clothing. To the extent I'm somewhat representative of a swath of fairly dedicated runners, the fact that I'm not rushing to get any of these devices is not a good sign. To be sure, I'm not saying that the smartphone/RunKeeper combination is a perfect substitute for a GPS watch or a fitness tracker. I have RunKeeper set up to give the most frequent audio cues about time/distance/average pace, which is every 1/4 mile and every 5 minutes. In a 5K race, that means I get 12 updates from the mileage and (at my pace) four more from the time. That's not bad, but if I want to check my average pace at some other point, I'd have to get pass my screen lock, which isn't trivial when you're running at near maxVO2. I could see how a watch or fitness tracker would offer some incremental advantage there. But enough to be worth buying one . . . when that money could be used toward more race entry fees, or tech shirts, or shoes? Besides my family, I love running and TV shows. I try to do as much running as I can outside, but I don't mind treadmills the way that many runners do. Plus, I'm able to stream videos on my Kindle Fire at the gym, so I'm able to indulge running and TV at the same time -- hence, the title of this blog. So, expect to read about TV shows and about running. As for what kind of TV shows, I pretty much stopped watching sitcoms once "Malcolm in the Middle" ended a while ago. Now, if it's less than an hour, I don't watch it. I like serialized dramas and some competitive reality TV shows (which, if you think about it, are a kind of serialized docudrama). To combat the mental fatigue of the treadmill, I especially recommend "The Shield" and "24." The adrenaline rush from watching those shows alone is worth it!